Yesterday I went to Niagara Produce and stocked up on vegetables. I realized as I was leaving that I may have been a tad overzealous when it came to the amount of carrots I bought, so I was on a mission to make an entree out of them. 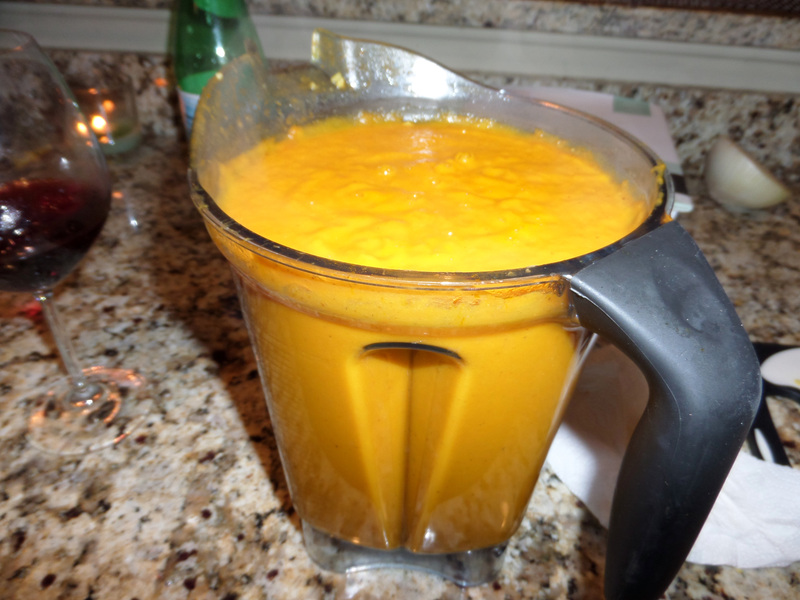 I received a Vitamix for our wedding and thought what a perfect time of year to make a carrot pureed soup in that. 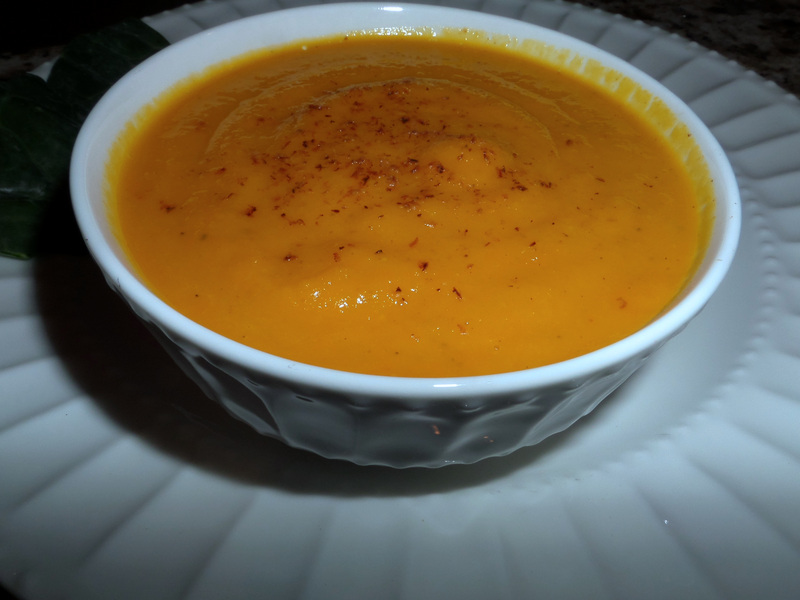 I added the pumpkin since it’s Fall and this soup was delicious! Add onion, ginger, and garlic; saute for 5-10 minutes. Add the broth, water, carrots, cumin, curry powder, bay leafs and pumpkin to the pot and heat until boiling. 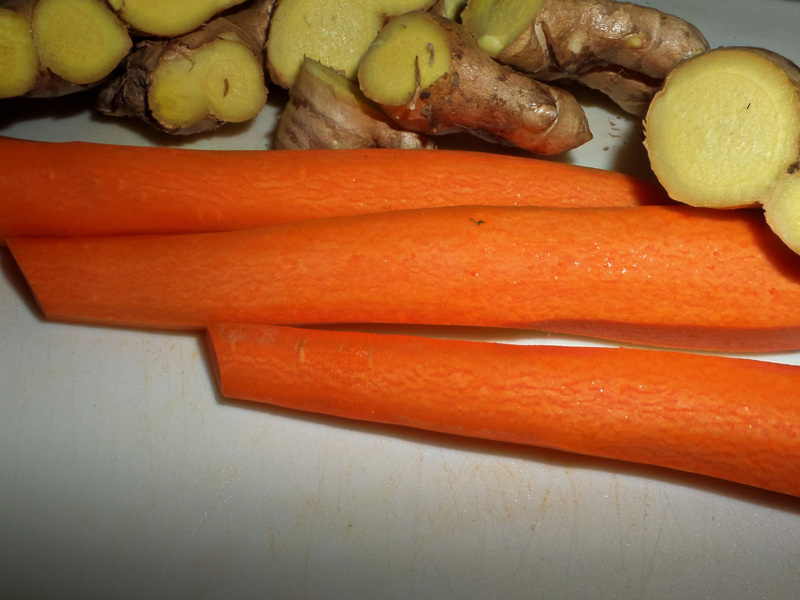 Reduce the heat and simmer uncovered until the carrots are very tender, about 30 minutes. Season salt and pepper, nutmeg and sugar to taste.